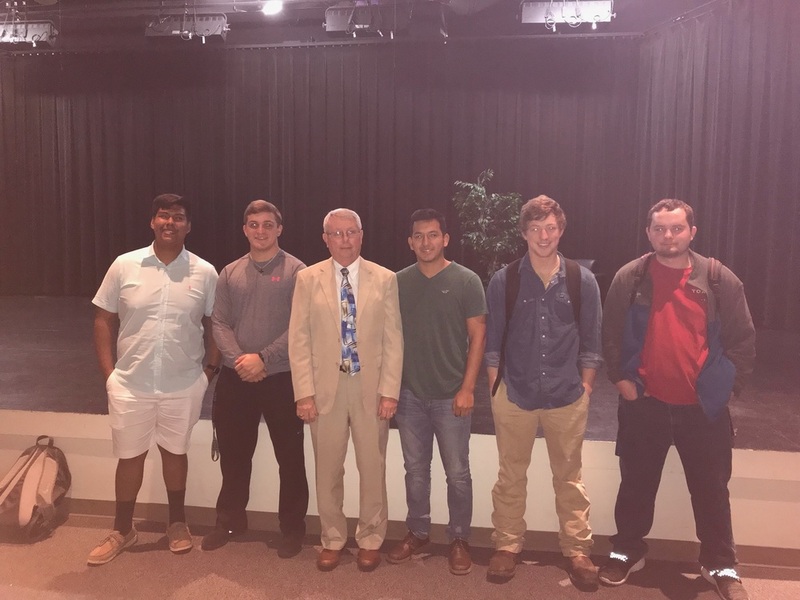 Mark Owen, SCHS graduate and president of Bank of Star City, spoke to the graduating class of 2018 on February 15th, 2018. Owen has worked at Bank of Star City for 30 years and in the banking industry for a total of 35 year. Owen came to help prepare students for the realities they will face in their future careers. Owen gave the class several pieces of advice to remember during interviews and subsequent employment. Employers number one priority, according to Owen, is honesty. Owen encouraged the seniors to own up to their own mistakes rather than playing the blame game. Dependability was also stressed; “Be on time, every time.” Owen stated. Owen also encouraged students to “do more than your job every day”. Seniors were given the opportunity to ask questions after the speech. Senior JC McGehee felt that Owen’s speech was “very informative”. Senior Dylan Teague stated “I’m glad he came to speak. I feel better prepared for future job interviews”.